"Freedom Fighter" contains a re-creation from "Introduction" as performed by Nick Drake, used under license. 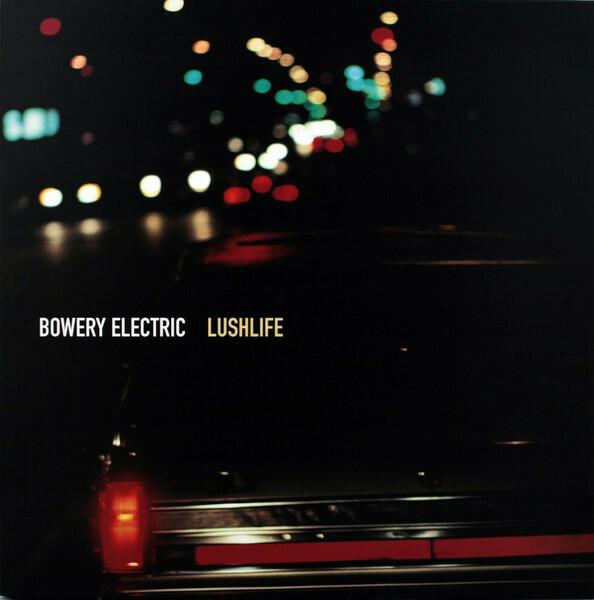 Nearly two years in the making, Bowery Electric's Lushlife takes even greater strides forward. The end result is the meticulous product the band's new state-of-the-art, computer-based, electronic music studio in the heart of Brooklyn—a studio which allows them to see visual representations of every waveform, and opens up new possibilities for songwriting and arranging sound. As with Beat, the touchstone is hip-hop—through the Bowery Electric filter. The beats are lithe, crisp and deep, and lines are perpetually blurred between samples and live instruments. Urban American experience is here, digested, abstracted, as on Eric B and Rakim's Paid In Full album, say, or Nas' "New York State Of Mind." Lushlife teems with atomized sounds, each one opening a portal in the mix, importing a haze of space and history, evoking the distant buzz of the city beyond the studio. Throughout, gilded strings build, sway and exhale, plugging the music into the sumptuous melancholy of Philly soul, the emotive Mancini-inspired arrangements of Gaye and Mayfield, and the edgy soundtrack scores of David Shire ("All The Presidents Men", "The Taking Of Pelham 123"). Yet, with all the experiment and variation, Lushlife is actually quite a deliberate and enticing affair for the ear and mind. When you've worked so hard? Is it summer or winter again?